Until the city stole her innocence. Until hatred ended his life. The souls are all alike. I do not like this Dutton man. I do not like him, no way ma’am. I would not, like him anywhere. Not in a car! Or on the sea. I do not like him on TV. I do not like him as he speaks. I do not like him and his lies. 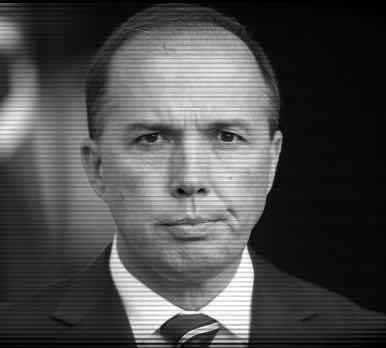 I do not like this Dutton man! He could not, would not, on a boat. He will not, will not, give out help. He will not treat them in the rain. He will not treat them in their pain. Not in the dark! Not out at sea! Not in a car! He’ll let them be! I do not like him as my boss. I do not like him, he is a toss. I will not have him in my house. I will not trust him with a mouse. I will not trust him here or there. I will not trust him anywhere!